Most of Rome´s pagan religion came from Greece. All religions were required to pay homage to Roman gods but were otherwise free to take part in their own religion. Jewish people were exempt from having to pay homage to Roman gods though. Jewish religion was against their partaking in the worship of other gods. As Rome became more diverse the gods began to be viewed as more literary figures. Cults then came to be and were meant to placate the gods so as to protect Rome itself. After the death of Jesus the disciples were afraid. On Pentecost the Church received the Holy Spirit. 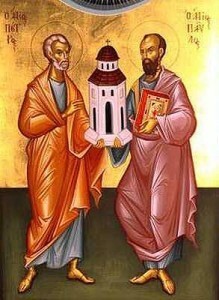 St. Peter was the foundation on which the Church would be built. By the power of the Holy Spirit the set out to build the Church and to proclaim the Good News. The Holy Spirit continues to guide and influence the Church to this day. 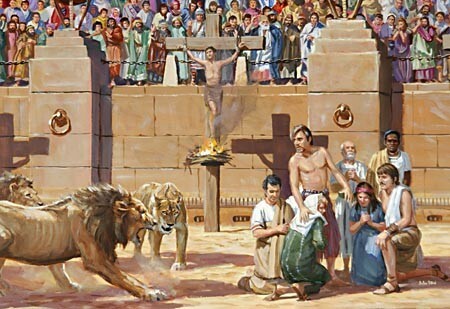 Christ left the Church without a fully developed theology and disciplinary practice. Jesus instituted the sacraments. 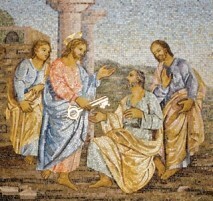 By Christ being baptized he instituted it into the religion. It is believed to forgive the believer of original and personal sin. Eucharist is the central act of Christian worship. Apologetics is the branch that defends and explains the religion. Chapter 3- Persecution of "The Way"
In early years Christians referred to faith as "the Way". To live "the Way" required a life of integrity according to the commandments and counsels of the Gospels. St. Ignatius is a martyr. 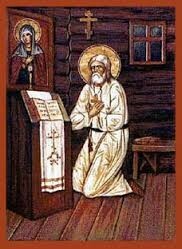 He denounced heresy and schism and was the first person to use the term "Catholic Church". 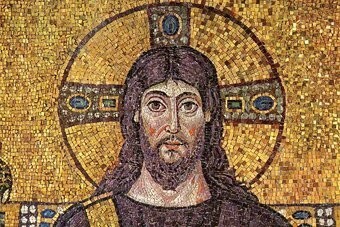 The Edict of Milan later came to be and it allowed religious freedom. Christian persecution in the 4th an 5th century was followed by multiple heresies. There are two ways in which one is able to enter into heresy. Through Material heresy one enters in by ignoring the truth. By Formal Heresy one chooses freely to enter into heresy. In order to face the challenges posed by many heresies the Church convened several ecumenical councils. The East and West recognize the first seven councils. The East does not recognize any held in the West after 787 due to their not participating at the councils. Monasticism came into being after the fall of Rome. 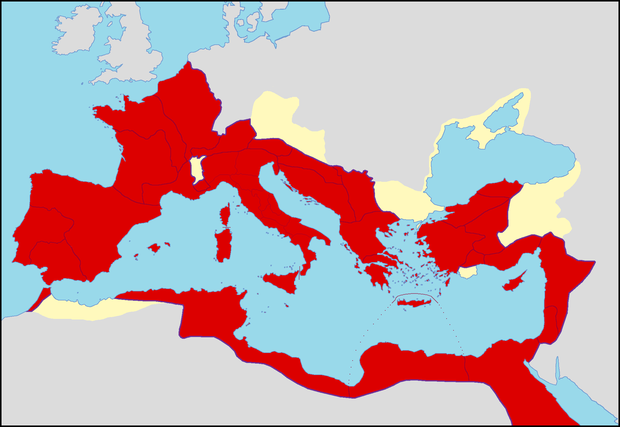 The fall of Rome occurred around 476. Monasticism is a way of life characterized by prayer and self denial. The monastic life is lived in seclusion from the world and under set rules and vows. The eremitical lifestyle is also known as the hermit lifestyle for it involves withdrawing and living in isolation. Cenobitical live life in a community. Monasteries were a source of spiritual strength, severed as seminaries, and evangelized. The Great Schism is used to refer to the break between the East and West Churches. There were many differences between the now two sections. In the West monasteries and converts worked together with the community. Whereas in the East the monks lived more secluded and had little interaction with the outside world. The split finally occurred in 1054. 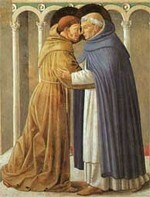 The head of the disputes between the East and West came to a head with the doctrinal dispute over the Filioque. 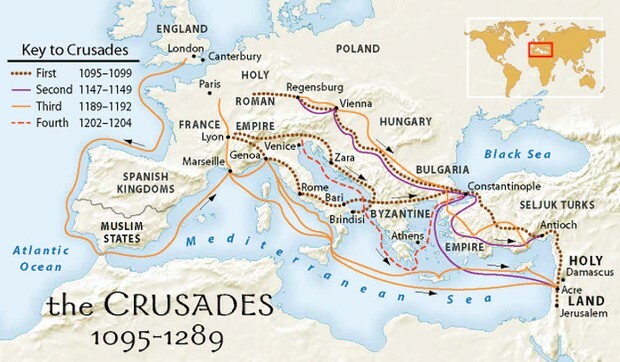 The Crusades were a series of expansive military expeditions. They were defensive campaigns that had a background of spiritual motivation. The Crusades were called to reclaim Christian lands taken by force by Muslim expansion and to recover the Holy Lands from Muslim control. Heresy was considered treason by the secular authorities during the period of the Inquisition because it was a grave threat to the fabric of society.Since Christian belief in Salvation was intertwined with most of society, heresies were a grave threat and made them be viewed as treasonous. The Inquisition was a questioning of people as to whether they were a part of the Albigensian heresy. The questioning was to find the heretics and to punish them. Heresies were a grave threat to society because the government was intertwined with the Church. 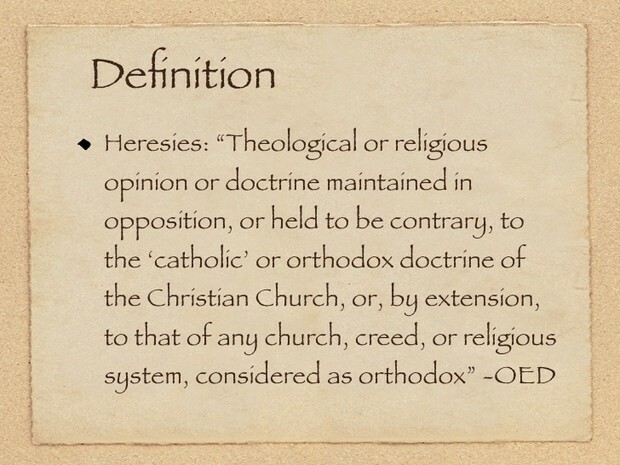 Heresies were treasonous which was a capital offense and was punishable by death. The Church stepped in to stop the killing and petitioned to take over the inquisitions. During the Inquisition the Church represented justice, order, and compassion. The development of the University of Paris in 1175 typified the growth of most northern universities. Paris is also the center that typified the structure of the northern European universities. One program the universites offered was called studium generale. Studium generale was the study of theology, law, medicine, physics, and arts. St. Francis of Assisi created the Franciscan order during this time as well as St. Dominic creating the Dominican order.The Dominicans and Franciscans are known as Mendicant Friars. Black death came to the humans by rats carrying diseases which the fleas then transferred to the humans. Black Death left relationships destroyed. People would turn on each other and abandoned them. The Jews were used as scapegoats. People turned and started to blame the Jews and accuse them of things such as poisoning wells causing the plague. The Jews were faced with violence and outrage. Twenty five million people died in Europe as a result of the Black Death. The Hundred Years War was called this because it spanned over a hundred years. It was a series of short battles with long periods of relative peace in between. The war was fought over who the heir to the throne was. During this time the English came up with the new invention of the long bow. 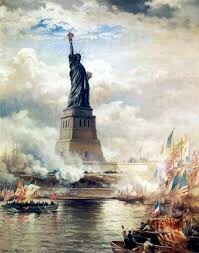 The War seemed to drag on and even though French forces outnumbered the English, the War was still evenly matched. 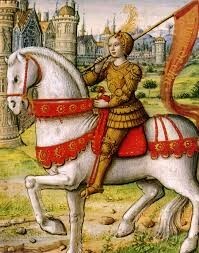 As France's future then began to look bleak though, the kingdom's fate was greatly changed by Joan of Arc. 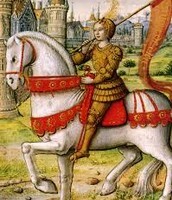 Joan of Arc was given guidance and told to inform Charles VII that she could make possible his coronation. She dressed in men's clothes and succeeded in the convincing of the king of the truth in her mission. Under her leadership the French overpowered the English and Charles was formally crowned king. 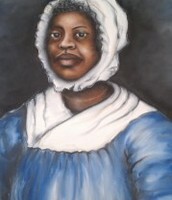 Joan continued on her mission and was captured by the English. 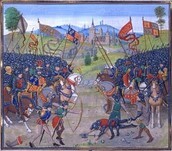 Charles did not attempt to bargain for Joan's life. Joan was then convicted by the English of heresy and even though the French had already proven her to not be a heretic the English wouldn't accept any of the French's proof. Joan was then burned at the stake. Twenty five years later she was re-examined and eventually became a saint. At the end of war, plague, and schism, feudalism was crumbling and new political and social entities were emerging. People's intellectual pursuits changed as well. This period was a time of rebirth. Universities began to place more concern on rhetoric, grammar, and history, which created a more secular education. This brought about the study of humanism. This revived many texts of great authors of ancient Rome. Reformers began to question the teaching of the Church around the middle of the sixteenth century. Simony, nepotism, and the abuse of indulgences and improper veneration of relics had spread. 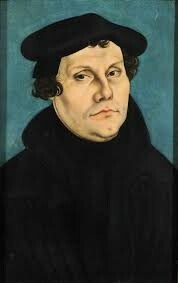 Martin Luther was a man who stood up and called the Church out on its corruption. He nailed the Ninety-five theses to the door of a Church. Luther began to place his interpretation of scripture over that of the Church. This eventually led to the splintering of Protestantism. 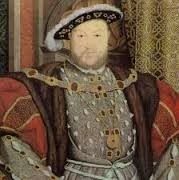 Henry VIII was not meant to be king but after the death of his older brother he had to step up to the role. He married his brother's betrothed, the older Catherine of Aragon. This marriage was set up to save the Spanish alliance. The marriage began happily but as it went on Henry realized Catherine was getting too old to give him a male heir. He also started to have affections for a woman named Anne Boleyn. He attempted to annul his marriage to Catherine. The Church refused so he had an illicit marriage to Anne. He then passed the Act of Supremacy so that he was made head of the Church in England and the pope no longer had any religious authority in England. 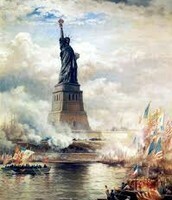 In 1492 Christopher Columbus sailed westward hoping to reach India but instead he found the Americas. The discovery of the New World brought social consequences, such as the Columbian Exchange, piracy, serfdom, and mercantilism. In addition to exploration, missionaries went over to try to evangelize the native people. The New World missionaries faced many difficulties, such as the distance, climate, language, and foreign religion being rejected by some natives. Some of the people that were brought over were greedy or mistreated natives, which was against human rights, and later Spain even passed legislature to protect the natives' human rights. 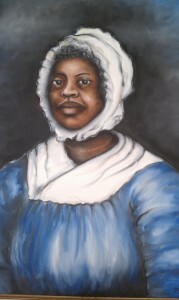 In an effort to spread the religion some colonists inter-married and helped assimilate natives to Spanish culture. Even though there was a struggle the colonists managed to set up a solid Catholic foundation in the New World. Following the Reformation and the Renaissance came the Age of Enlightenment, which included the scientific revolution. The thinkers believed that what could not be proven could not be called true. Rationalism was said to take precedent over theology. The Church teachings were called into question. 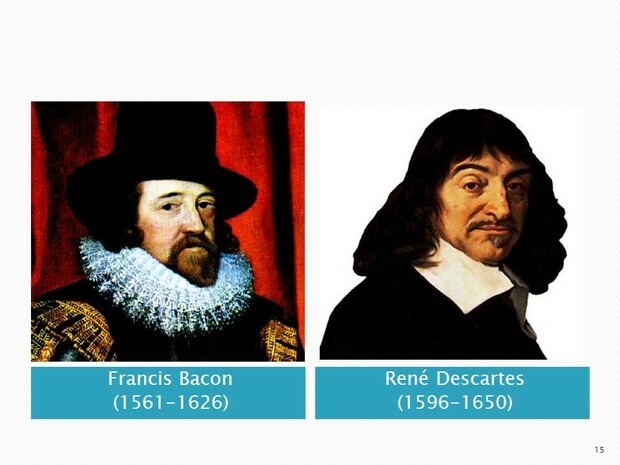 Two thinkers that made a strong impact were Descartes and Bacon, each was able to describe the world mathematically. Between all of the new ways of thinking the Church was viewed as the enemy of scientific progress and a promoter of superstition. The rise of Communism in Russia was spawned by World War I. Soviet Communism's roots were in the theories of Karl Marx. The Communists even tried to convince the Western intellectuals that the Soviet Union was a workers' paradise. During the time of Stalin's reign nearly fifty million supposed opponents were executed or sent away to prison camps or the gulag. A major element of the Communist program was religious persecution. Many Orthodox and Catholic Churches were destroyed during that time. 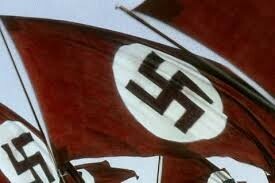 Hitler came to power after WWI, when Germany was in a state of political and economic turmoil. 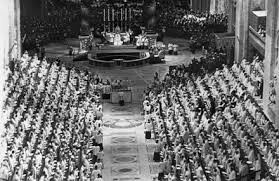 One of Hitler's first acts as dictator was to seek a new concordat with the Church. 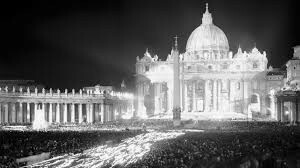 From the start Hitler and the Nazi's violated the concordat, and when the pope sent letters to protest Hitler didn't heed any of the policies. Nazism was a blend of national totalitarianism, racism toward the Jews, neo-paganism, Friedrich Nietzsche's moral nihilism. While some Catholics had opposed Nazism from the start, others turned against it as time passed. The pope published Mit Brennender Sorge, a work criticizing Nazism and the regime, and had every Catholic Church read it. Hitler was infuriated by this and launched a campaign against the Church and it was set in stone that the concordat was no longer able to hide the animosity between the Nazis and the Church. When Pope Pius XII became pope war seemed to be inevitable. Nonetheless he worked endlessly to try to avoid war and promote peace. After the war was upon them the pope continued to promote peace. Later on Pius was accused of not speaking out enough against the Nazis. He was cautious with his statements due to fear of the reprisals against the Church and the Jews. He didn't want the Nazis coming down on the Church and compromise the Church's secret aid and resistance movement. In the end though, Jews throughout the world joined in calling Pius XII "a righteous gentile". Pope Bl. John XXIII convened the council saying that the secular world was in "a grave state of spiritual poverty". Through the council the Church hoped to update herself to fit the spiritual needs of the world. The council took place in four sessions. After the death of the pope his successor, Pope Paul VI, announced that the council would continue. The works of the Second Vatican Council was embodied in sixteen documents. There are four central documents of the Council, that provided basis and vision for the rest. 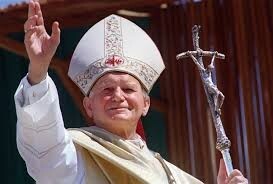 As the first non-Italian pope in over 450 years Karol Wojtyla was elected the 263 successor of St. Peter. One of his first announcements as pope was to "Open wide the doors for Christ". He was a part of an underground seminary during the time of WWII and then proceeded from there. He traveled frequently and made many differences to the religion. He helped to rebuild Catholic Church after it had been so greatly weakened as an effect of the war. He made such a great impact on the Church that at his funeral "Santo Subito!" was chanted, meaning "a saint immediately" and eleven days after the pontificate of Pope Benedict XVI the cause for beatification and five-year waiting period was opened for Pope John Paul II. The Church of Immigrants to the U.S.
Much Catholic immigration from Europe to the U.S. occurred in the early nineteenth century and continued into the twentieth. Many people were attracted by the promise of work, land, and religious and political freedom. Most of the three million immigrants came from Ireland, Germany, and France. Immigration and high birth rates caused the growth of American Catholicism to be very rapid. By 1840 there were 15 diocese and 663,000 American Catholics. Even though the pope at the time had condemned the slave trade the Catholic leadership in the U.S. was preoccupied with the immigrant community. Many Catholics in the South even supported slavery. Many Catholics fought on both sides of the Civil War. Out of four million slaves that were emancipated in 1863, approximately 100,000 were Catholics and 60,000 of them were in New Orleans. Despite the occurrences in the ways of slavery and the slaves new freedom, many of the schools in both the North and South still remained segregated, even the Catholic ones. The Church in the U.S.
After WWII the Church in the U.S. experienced profound changes. Education rates increased and they flocked colleges to help get a bill passed that would help pay veteran education fees. When Vatican II came around American Catholics are said to have been enthusiastic. There were new organizations made such as the NCCB and the USCC. Problems them began to occur when the priesthood and religious rates dropped. Then issues occurred within the clergy and abuse among minors. The Church in America then had to face the financial penalties of these actions but what is said to have been the greatest loss they faced was the loss of moral credibility and public esteem in the United States. It is debatable whether or not the American culture's roots are compatible with the Catholic beliefs and values. Some of the U.S. founding documents are based in tradition that was shaped by Catholic thinkers. At the beginning of the twenty-first century there were challenges among the U.S. and Catholic Church as to what the Catholic identity was. The older religious based anti-Catholicism seems to have been replaced by ecumenical goodwill. Pope Benedict XVI continued the joy and optimism of Pope John Paul II and kept his beliefs alive and well. Church history has shown that the witnesses of holiness will push the kingdom of God forward in the United States and that living saints will show what it means to be Catholic and American. 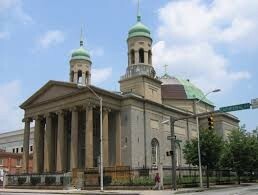 Baltimore Maryland mother church of the U.S.